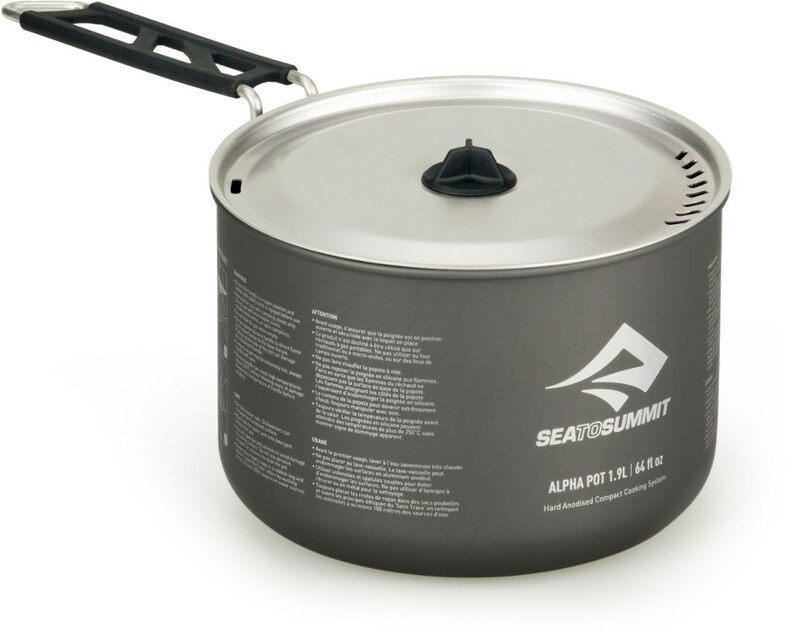 Sea to Summit Camp & Hike Alpha Cook Set 2.1 1.9L pot 2 Bowls 2 Cups 721. 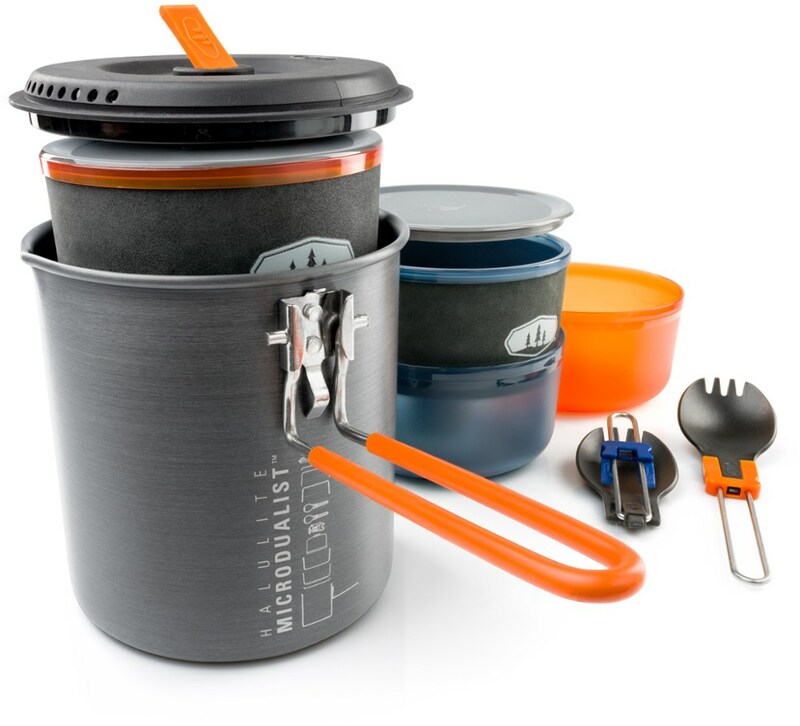 1 is the perfect set for creating fresh and healthymeals in the backcountry. 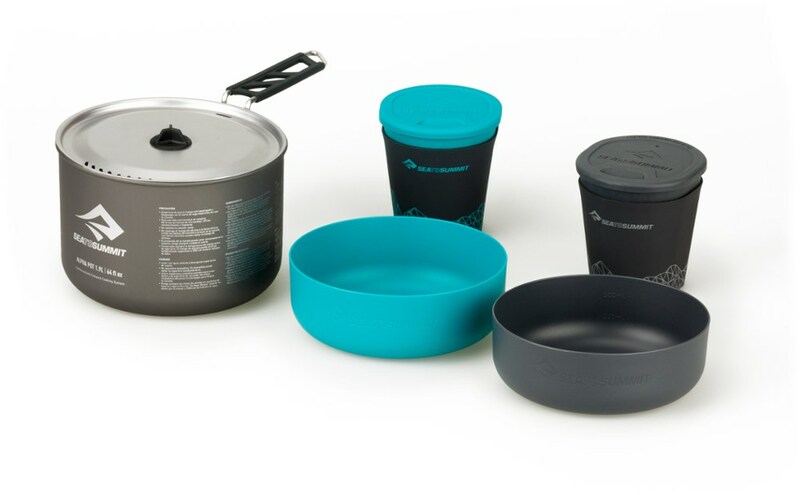 Using a hard-anodized alloy the Alpha Pots provide a durable abrasion resistant and easy-to-clean cooking surface.Featuring an innovative Pivot-Lock handle that locks firmly in place unique slotted strainer pattern in the lid silicone Lid Keep plus Delta Light dinnerware pieces that all nest together means youll be cooking up a gourmet storm with every camp meal you prepare. The new Delta Light Insul Mugis ideal for keeping your evening drinks cool and your morning drinks hot. 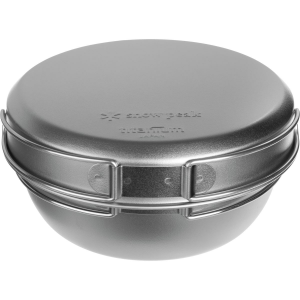 This fits intothe Delta Light bowl and both nest neatly into the 1.9L Alpha Pots for a lightweight space saving solution. 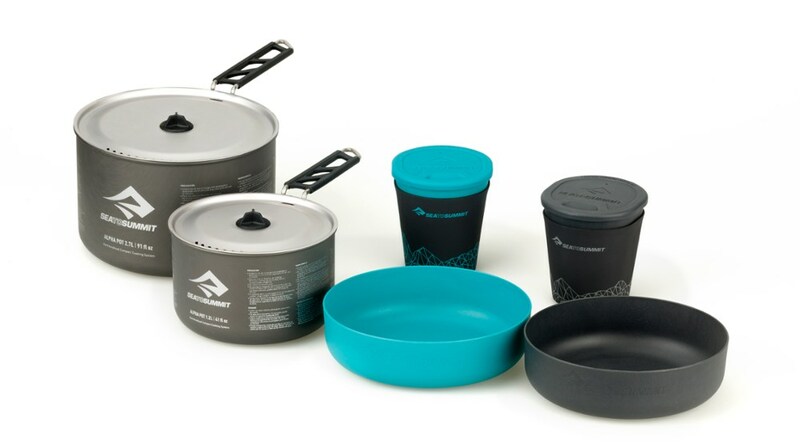 When it's just you, your best bud and a couple of mountain goats crunching on grass uncovered by the newly melted snowpack, heat up a backcountry meal with the compact Sea to Summit Alpha cookset 2.1. 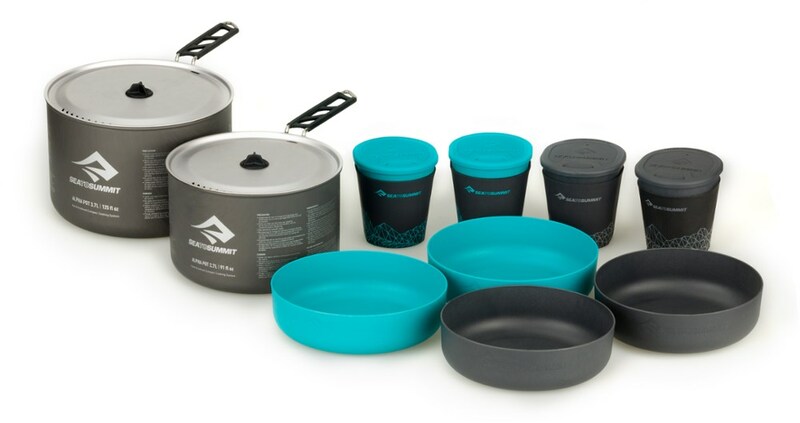 The Sea to Summit Alpha Cook Set 2. 1 is a light, compact camping kit constructed for two backpackers. It includes an Alpha Pot with two Delta Light Bowls and two Delta Light Insul Mugs nestled neatly inside. 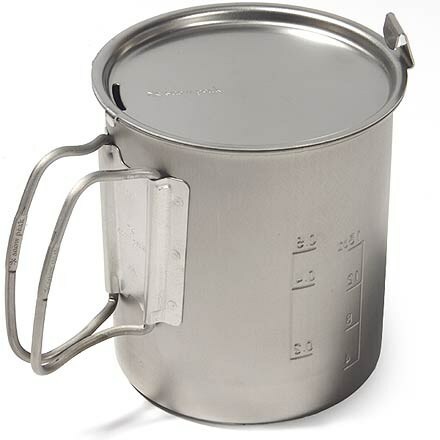 The pot has a strainer lid an a patented Pivot-Lock handle for convenience, and the mugs are insulated to keep coffee warm. There's also a dishcloth to help clean the pot, bowls, and mugs after meals.